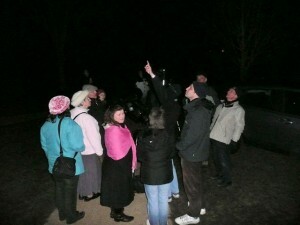 Although it clouded over during the evening all the guests had good views of the planet Mars and other sky objects. Many thanks to the volunteers of the British Science Association for the exhibition and the tea and coffee provided and the welcome shelter from the cold. The cloud cover helped the large attendance for the astronomy slide show in the Emmbrook Room later. As always it was the Hubble Deep-Field image that sent everyone home impressed. Before the clouds there were several telescopes pointing at sky objects. 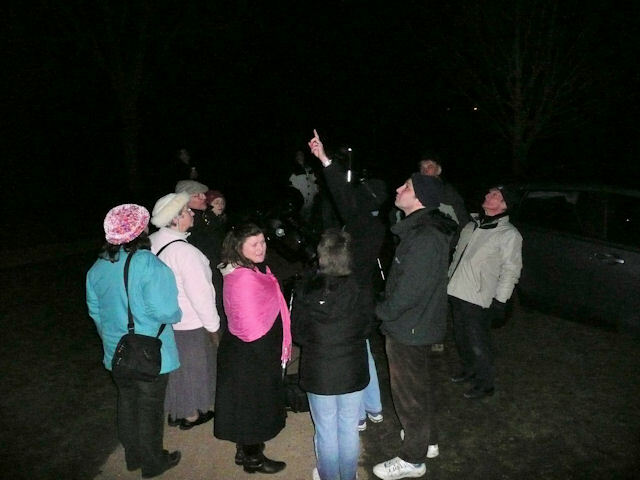 We also had the excitement of seeing the ISS pass overhead and disappearing into the Earth’s shadow. The evening was part of Reading Science Week 2010. This entry was posted by ReadingAS on March 13, 2010 at 22:00, and is filed under Events. Follow any responses to this post through RSS 2.0.You can leave a response or trackback from your own site.